"Buster Keaton is the essence of movies." -Werner Herzog. Cohen Media Group has debuted the first official trailer for The Great Buster: A Celebration, a documentary about the iconic silent era actor/filmmaker Buster Keaton. Directed by fellow filmmaker Peter Bogdanovich, the film looks back at his entire career, with restorations of archival works, as well as interviews with his friends, family, collaborators, and a broad array of artists. Bogdanovich's personal dive into the Keaton archives reveals a visionary artist who put everything on the line for a laugh in such treasured films as The General (1926), Steamboat Bill Jr. (1928), Sherlock Jr. (1924), and so many others. This has already played at the Telluride and Venice Film Festivals, and it will be showing in select US theaters next month. A must watch documentary for every true cinephile. 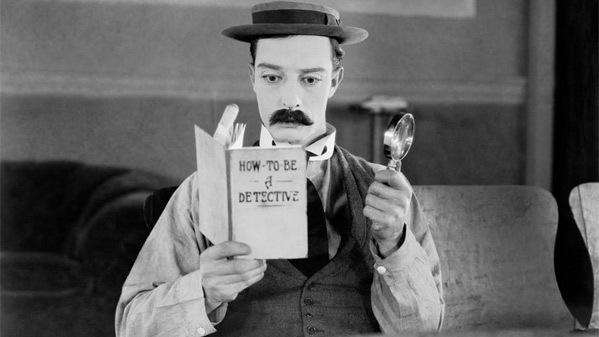 The Great Buster celebrates the life & career of one of America’s most influential & celebrated filmmakers and comedians, Buster Keaton, whose singular style and fertile output during the silent era created his legacy as a true cinematic visionary. Filled with stunningly restored archival Keaton films from the Cohen Film Classics library, The Great Buster is directed by Peter Bogdanovich, a filmmaker and cinema historian whose landmark writings and films on such renowned directors as John Ford and Orson Welles have become the standard by which all other studies are measured. This just premiered at the Telluride, Venice, and Deauville Film Festivals this fall. 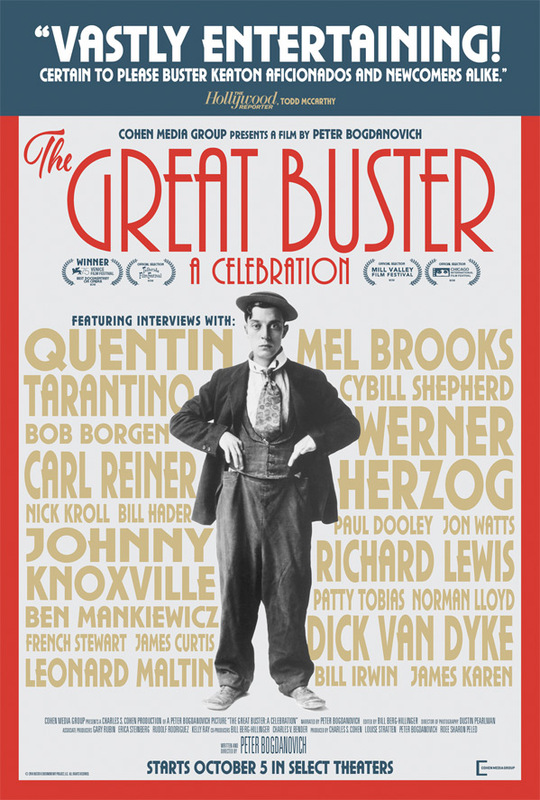 Cohen Media will release Bogdanovich's The Great Buster: A Celebration in select US theaters starting October 5th, expanding over the next few months. Who's down?